Should you experience problems you can reset or uninstall and reinstall your retail software. 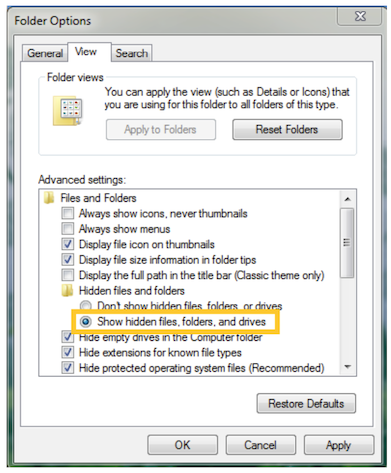 You will need to make sure you can see the “hidden folders” on your computer. Now, the ePay Charge retail has been completely removed from your computer.